We love free stuff, and the latest comes in the form of one very capable nano aquarium. 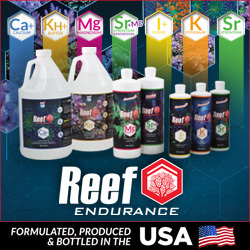 Current USA is hosting a little promotional giveaway over on Facebook, with the winner receiving one of their brand new SOLO 5-gallon aquariums. To enter the contest, all you have to do is head on over to the social network and fill out a quick form. It’s quite simple, really, and reflective of both the design and function of its prize. The contest is currently open and has been since September 16th (slipped under our radar I suppose) and closes on October 22nd at 8am . As for the SOLO Desktop Aquarium, it is made of glass and measures a whopping 10x10x12. The seams are filled with black silicone and it comes with a small internal filter. But none of these features are what caught our eye. Sure they are nice, but the lighting system on the tank is what is truly unique. The SOLO features a molded lid with a frosted window that snaps right onto the top of the tank. Under the lid and lining the outer edges are strips of RGB LEDs that can be controlled via an IR remote. The lighting is only 6watts worth of LED power, which won’t cut it for most corals, but the tank sure would look niced on a desktop with a customizable spectrum…especially if it’s free.